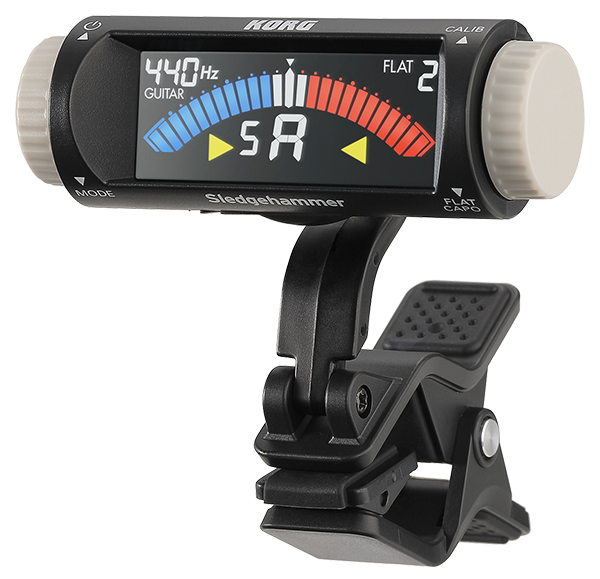 The Sledgehammer series is a new lineup of guitar/bass tuners that joins KORG&apos;s family of clip-on tuners. These tuners can be attached directly to an instrument for convenient tuning. The Sledgehammer features an easy-operating shuttle switch on a tubular-shaped body. 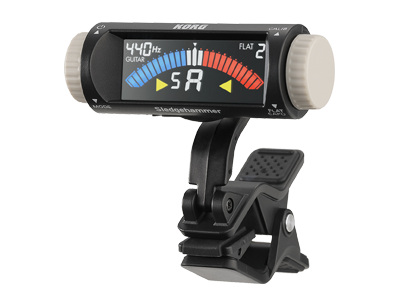 Even while performing, you can easily operate the tuner with just one hand, while a high-brightness, high-contrast color LCD display ensures clear visibility. The Sledgehammer series feature a sturdy clip mechanism providing a strong, flexible hold and the high accuracy that you expect from KORG tuners. 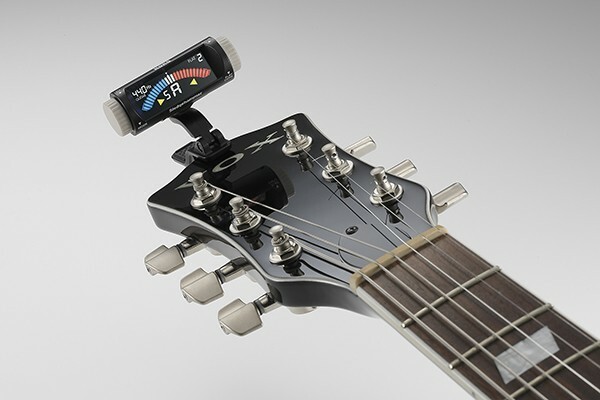 Players of every style now have a new variety of tuners to choose from. With its high-impact tubular design, the Sledgehammer features a significant change in operability compared to previous clip-on tuners. 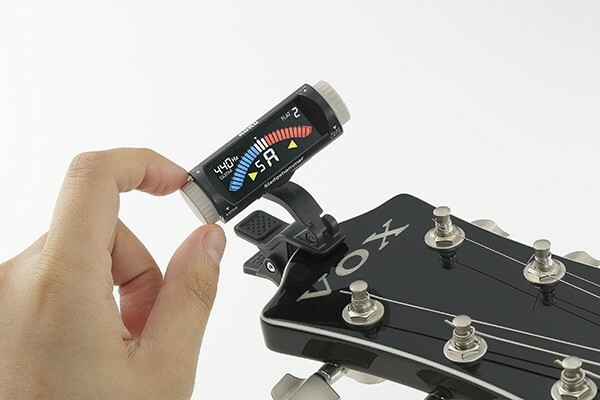 Since a shuttle switch is provided on both sides, you can easily operate the tuner with one hand while playing a string with the other, just like you would when turning a tuning peg. By simply turning the switch slightly up or down you can turn the power on/off, switch modes, and adjust the calibration smoothly, all with just one hand. A high-visibility color LCD is used to provide an extremely clear, high contrast color VA meter and a wide viewing angle. The Sledgehammer shows the state of tuning with unbeatable clarity. Dedicated guitar/bass modes and flat/capo settings. In addition to the conventional chromatic mode, the Sledgehammer gives you a choice of guitar mode or bass mode. In each mode, the string number is shown beside the note name, allowing you to tune confidently and easily. You can also utilize flat and capo settings*, ensuring that you'll always be able to tune appropriately for your performance situation. *Flat settings are available on guitar/bass modes, and capo settings are available in guitar mode. When in guitar mode, the Sledgehammer helps prevent string breakage by showing a "First string over-winding indicator" on the display if it detects that the thin first string has been tightened excessively. This is especially useful for beginners who may not be familiar with the tuning procedure. The clip is designed to make the connection with your instrument as efficient as possible, ensuring a firm grasp at all times. The Sledgehammer firmly adheres to a variety of guitar and bass headstocks. Even if you move around actively while performing, there's no danger that vibration or weight will cause the tuner to shift. A variety of functions are available to support your various tuning endeavors: the calibration function allows for a variety of concert tunings, the auto power-off function saves the battery if you forget to turn the unit off, and the memory backup function preserves your settings, even when the power is off.